When choosing a name for your limited liability company, there are several factors to keep in mind. First, the name must be available with the Oklahoma Secretary of State. This is easily checked by visiting their website and performing a name search. However, it is important to remember the final decision as to the name will be made by the filing examiners. Second, in the age of the Internet, you may also want to check the availability of your company name as a website. Domain registrars such as GoDaddy or Network Solutions are good resources to check. Third, you may also want to consider the use of trade names. This allows you to initially form your LLC using a generic name such as Acme Enterprises LLC. Then, later on, you can register trade names for your LLC such as Acme Lawn Services or Acme Remodeling Experts. 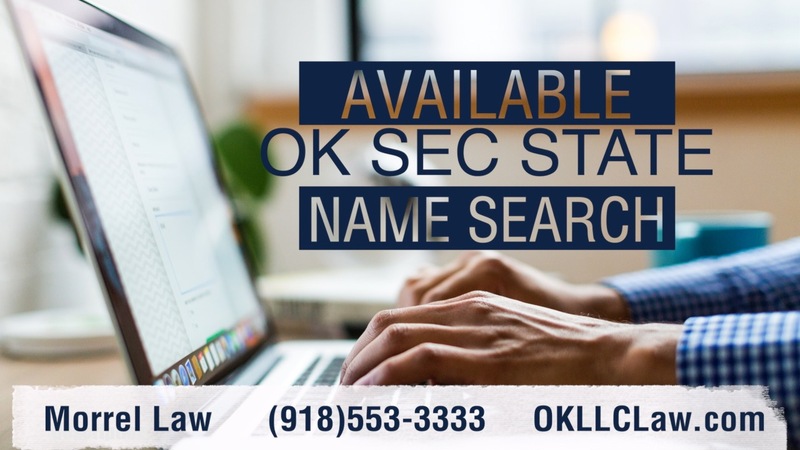 You are then able to use the same tax id number, same tax returns, bank accounts, same everything for all the different businesses that are operating under the umbrella of the original LLC with the generic name.